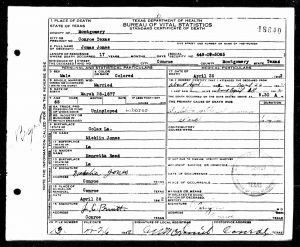 According to his death certificate he was an unemployed laborer, and married, and lived in Conroe for 17 years. No residential address is listed. 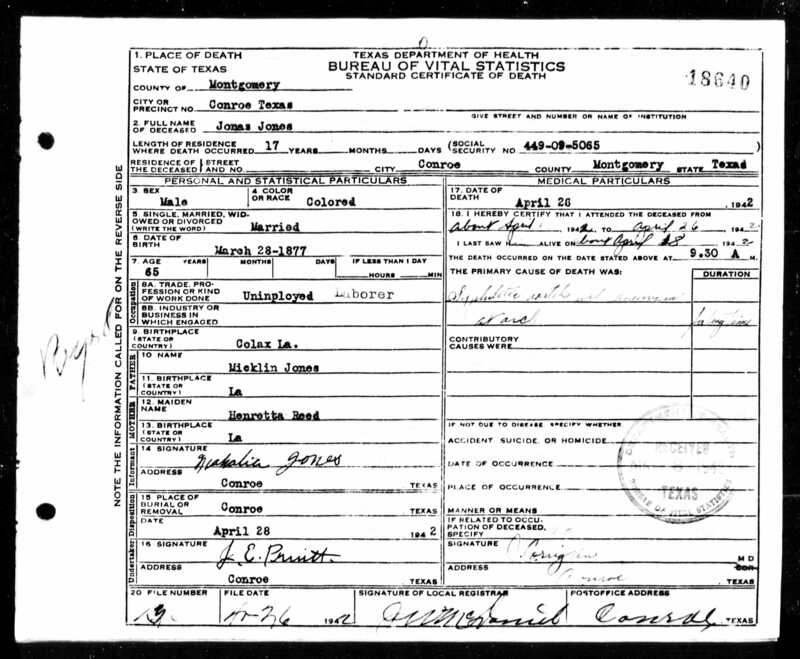 It states his parents were Micklin Jones and Henretta Reed. Jonas Jones, head, 45 year old black male, born in Texas, both parents from Texas, 21 years old at first marriage, working as a laborer in a lumber mill. Robert Jones, adopted son, 5 year old black male, born in Texas, both parents born in Texas.